Ruskin Land has seen a lot of creativity over the last week or so. We’ve had many inspiring visitors, including the participants in our first ‘Ruskin in Wyre’ seminar which took place here last Tuesday. A few days before that students from the Cardiff School of Architecture arrived for their week long ‘making’ residency, a key component of their postgraduate degree course. Part of their brief was to explore the ‘role of material in place making and identity’. They were a great bunch and it was a privilege to see them at work, interpreting and exploring the local area in diverse ways. Their week culminated on Friday when we visited the structures – or ‘constructed fragments’ – they had each created as a personal response to the place. Each fragment was different, fascinating in its own way, but united by a common thread – the material, green oak sourced, milled and crafted in Ruskin Land. 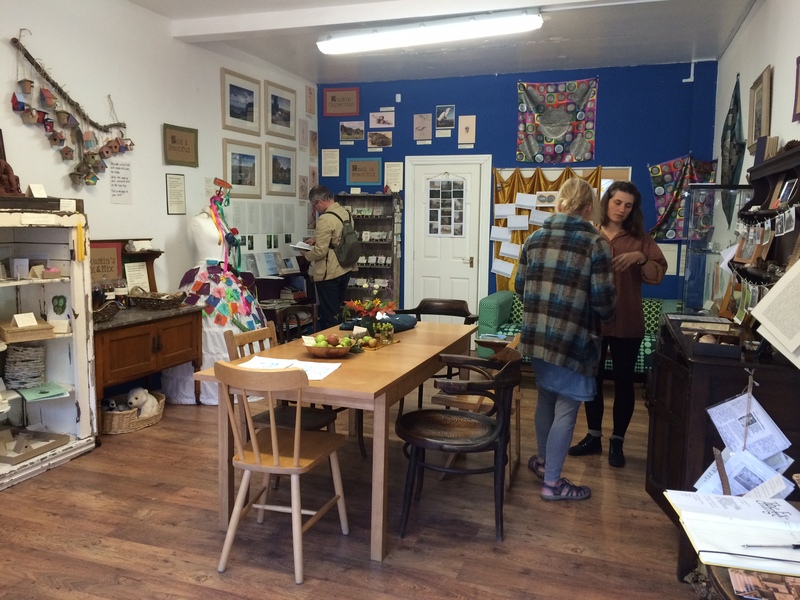 In the midst of all this architectural creativity we hosted our first seminar, more of a workshop as it turned out, to explore with arts practitioners from diverse backgrounds the creative potential of Ruskin Land. The discussion at the seminar, expertly animated by Dave Dixon, echoed in many ways the work of the architecture students. After a short walking tour, we asked workshop participants to consider how makers, artists and other creatives ‘can help reveal and magnify the special qualities of the forest and the work being undertaken.’ And we got a variety of stimulating responses. One of the most exciting ideas to emerge was to establish a kind of ‘parliament of the woods’ with members representing the interests of all the stakeholders, including flora and fauna, living here. One attraction of this approach is the potential it has to help us negotiate the difficult balance we need to strike between making Ruskin Land more widely known while safeguarding its inherent natural beauty, tranquillity and capacity to inspire. This was just one of many wonderful suggestions made during the workshop. Another important theme concerned how we can open up opportunities to interact with the place for people from all backgrounds, including those who have never experienced the delights of a campfire under a starry night sky. As if that wasn’t enough excitement, last Wednesday we collected the first batch of fruit trees we are planting in the new orchard at St Georges Farm. With the help of numerous volunteers we’ve already managed to plant a good proportion of them. The orchard will contain apples, plums, cherries and damsons sourced from local suppliers including some varieties planted in the original orchard established here in 1880. The job is not as straightforward as it might seem due to the need for some seriously robust tree guards and netting to provide protection from deer. We estimate it takes a good hour for two competent people to plant a tree and protect it. Our aim is to have all 150 trees planted, weather permitting, by the middle of January in time we hope for a celebratory wassailing ceremony. A few days have passed since we returned from Sheffield, the venue for the AGM of the Guild of St George the charity set up by John Ruskin in 1871 dedicated to the ‘arts, crafts and the rural economy.’ The Guild owns St George’s Farm here in the Wyre Forest, along with Uncllys Farm, the neighbouring smallholding currently home to the Wyre Community Land Trust, and John and Linda Iles its co-founders. Our weekend in Sheffield was inspiring in many ways. First, the company was special. Attendees came from far and wide, including Moscow and the US. Olga Sinitsina, David Lustgarten and Kay Walter each gave inspiring talks about their commitment to the Guild, covering Tolstoy (who said of Ruskin ‘he was one of those rare men who think with their hearts’), and Walter Gropius, founder of the Bauhaus, for whom Ruskin was an important inspiration. Peter Burman, Chairman of the Centre for Stewardship at Falkland in Scotland also spoke passionately about his Ruskin-inspired work there. 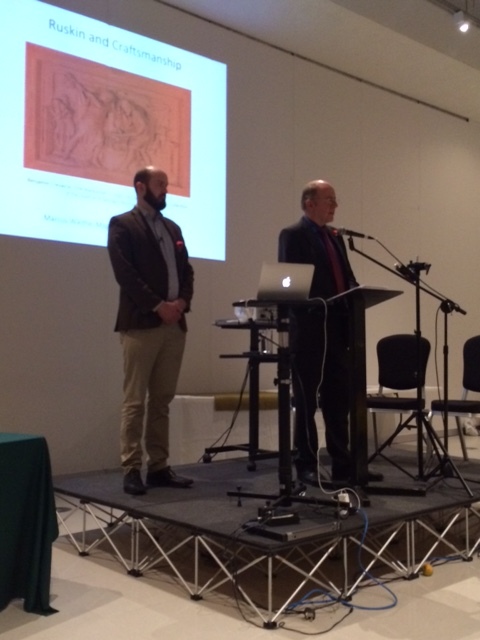 And that’s before we got to the thoughtful 2015 Ruskin Lecture given by Dr Marcus Waithe on Ruskin and Craftsmanship – a copy of which can be purchased from the Guild. Second, Sheffield is a city of surprises and hidden history. 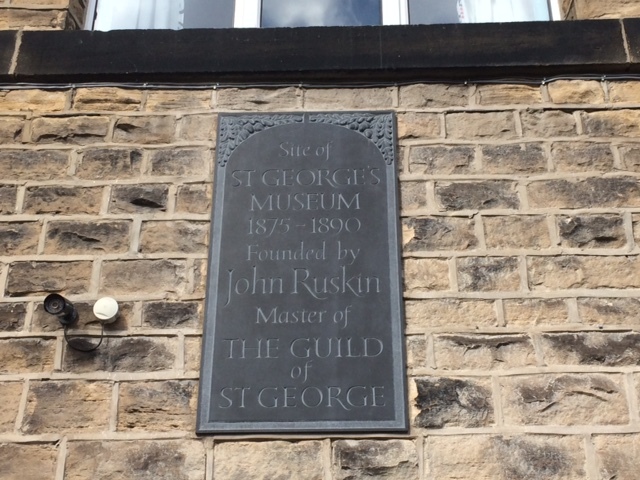 I wonder how many people know that it is home to the truly wonderful Ruskin Collection, owned by the Guild of St George and displayed at the city’s Millennium Gallery. The Collection was originally housed in a museum set up by John Ruskin in 1875-6 at Walkley, now a suburb of the city. An exploration of the connections between Ruskin and Sheffield led to a wonderful programme of events, walks, talks and performances produced and coordinated by Ruth Nutter and supported by the Heritage Lottery Fund. 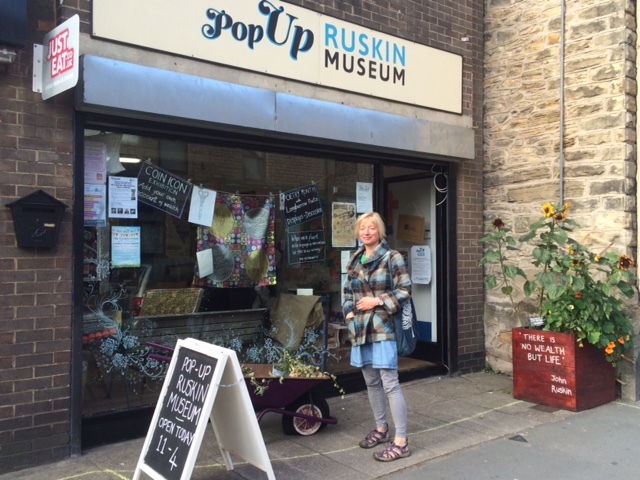 The programme included a ‘pop-up’ museum at Walkley which provided the kernal of the recent Ruskin Re-Viewed exhibition at the Millennium Gallery. One of the events we were particularly sorry to miss was a walking performance ‘Boots, Fresh Air and Ginger Beer’ devised by the poet Sally Goldsmith. (Gladly, a short film of it can be see on you tube). 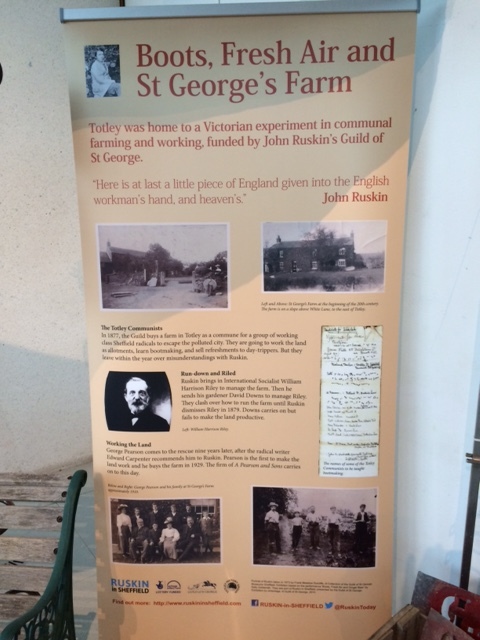 The performance explored Sheffield people and places connected with Ruskin focussing on his purchase of land at Totley to establish the first St George’s Farm there (the building still exists). This initiative was described by Jan Marsh in her fascinating book Back to the Land – the pastoral impulse in Victorian England as ‘an early attempt by industrial workers to set up an agrarian commune as part of the escape from wage slavery and monopoly capitalism.’ At least initially, the experiment did not go smoothly. Following an intervention from Edward Carpenter, early pioneer of the gay rights movement, it later became a successful market garden before being purchased from the Guild by George Pearson, one of the tenants in 1929. All this is nourishing food for thought in advance of the first Ruskin-in-Wyre seminar which takes place here next week. With support from the Guild, and learning from the success of the Sheffield project, we are embarking on a series of discussions to explore how we can tell the story of Ruskin Land in the Wyre Forest. We want to engage the arts in all its manifestations to reveal and communicate the value of this small but significant piece of land: to make it, using Ruskin’s own words, more ‘beautiful, peaceful and fruitful’ so that it can help inspire a better relationship between people and nature. Have you ever tried to catch leaves as they fall from a tree? It’s not as easy as it seems, particularly if the leaves are dropping from tall oak trees on a breezy day in the Wyre Forest! Catching falling leaves was one of the simple but hugely enjoyable activities we indulged in with our grandchildren when they visited us at Ruskin Land during half term last week. 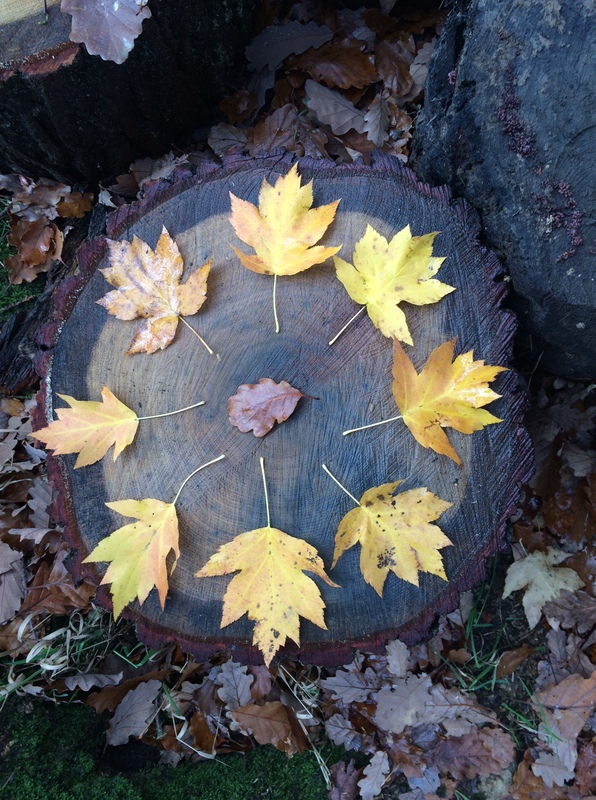 Using the leaves, their varying forms and colours, to make beautiful patterns was another pleasant pastime. Getting more children into the forest, to experience its simple seasonal pleasures, participate in play and learning, and be inspired by the beauty of nature, is one of the objectives we want to achieve here in the future. Educational activities are already an important part of the purpose of the Wyre Community Land Trust and there have been a number of successful events in recent years. 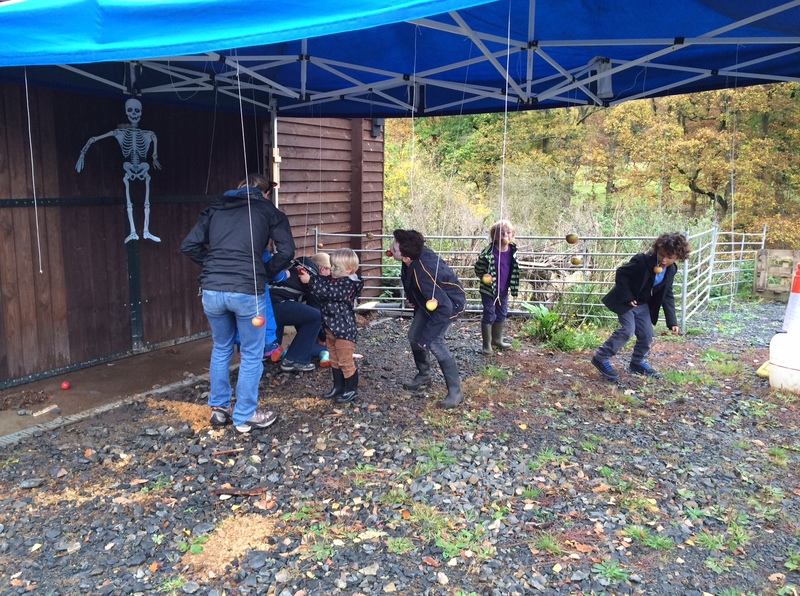 Open Farm Sunday which takes place in June is reliably popular with families, I’m told, and last week the CLT hosted a lively Halloween event with activities ranging from apple bobbing, juicing, face painting and a display by the local group of bat enthusiasts. 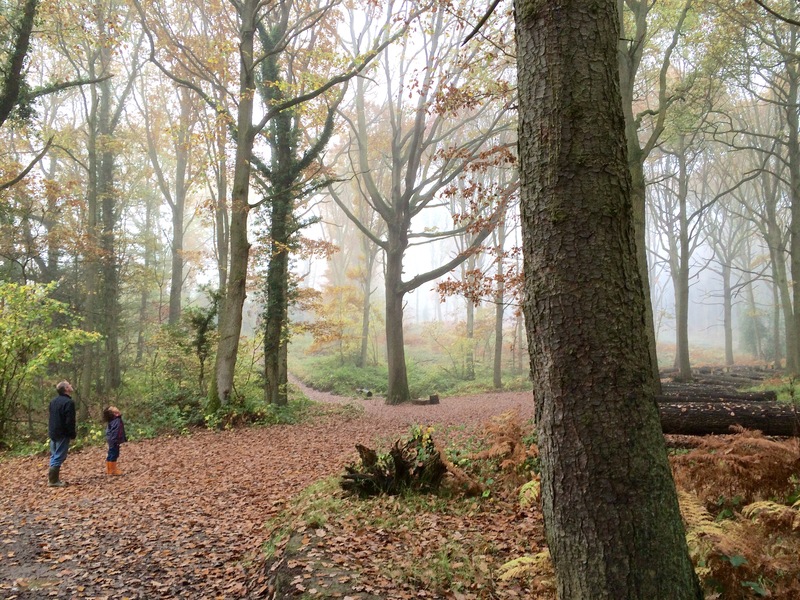 In recent years, there has been a lot of discussion in environmental and educational circles about the importance of enabling children to experience the natural world. ‘Nature Deficit Disorder’ is the catchy term used by the American Richard Louv to describe the effects of a growing detachment of children from nature in the modern world. His inspirational book The Last Child in the Woods, published 10 years ago, explores how this has happened and what we can do about it. His work I’m sure influenced the excellent initiative promoted by the National Trust recently, ’50 things to do before you are 11 3/4′. Louv also helped establish the children and nature network whose vision is for ‘a world in which all children play, learn and grow with nature in their everyday lives.’ The network’s website is a useful source of information on how to enable children to experience and enjoy nature. These initiatives will inform our approach to providing new opportunities for children to experience and learn about the natural world at Ruskin Land in the Wyre Forest. There is a lot we can learn from the Forest School Association and the work of the Sylva Foundation which was set up to help revive Britain’s wood culture. Their online resource One Oak has been used extensively by primary schools across the country. Most importantly, our approach will be informed by John Ruskin’s thinking, particularly his emphasis on learning through doing and on the links between nature and creativity. Ruskin believed all children should be taught to look and draw in the same way as they are taught to read. He also believed strongly in equality in education. 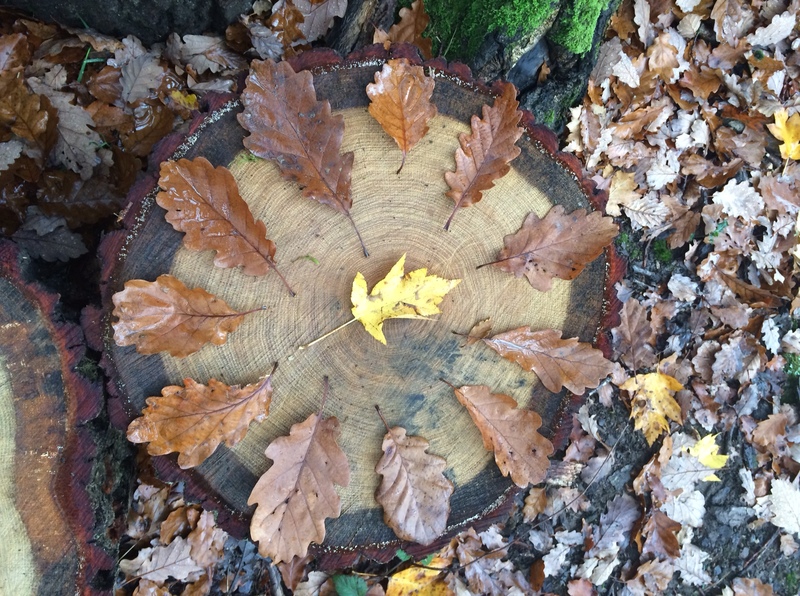 We want to enable children from all communities, including those with physical disabilities, to come to the forest so that everyone can have the chance to catch falling leaves and use them to make beautiful patterns.